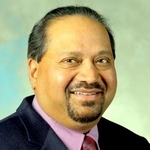 Jay Giri Jay Giri is presently Director of Power Systems Technology and Strategic Initiatives at ALSTOM Grid in Redmond, Washington. He leads a team of power system engineers who deliver market applications and synchrophasor applications to control centers; and is also a liaison for university research activities. In 1978 he and 11 others co-founded Energy System Computer Applications (ESCA). In 2010, after numerous mergers and acquisitions, ESCA became part of ALSTOM Grid. Jay designed and implemented the original software for the ESCA automatic generation control (AGC) and dispatcher training simulator (DTS) power system simulation functions. Today the ALSTOM AGC controls over 50% of North American generation as well as generation in many other countries, and the ALSTOM DTS is one of the predominant simulators used by control centers worldwide. He has a PhD from Clarkson University in New York and a B.Tech from the Indian Institute of Technology (IIT), Madras. He has been regularly active in the IEEE since the ‘70s.